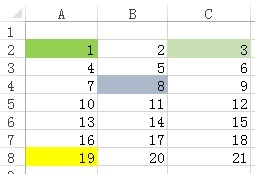 This Excel tutorial explains how to sum colored Cell and count colored Cell in Excel worksheet. To recap the previous posts, you can click on the followings. In the below Function, I use ColorIndex<>xlNone to identify colored Cell. White is deemed as colored, while “No Fill” is not colored. rng is a Range that contains one more or Cells.